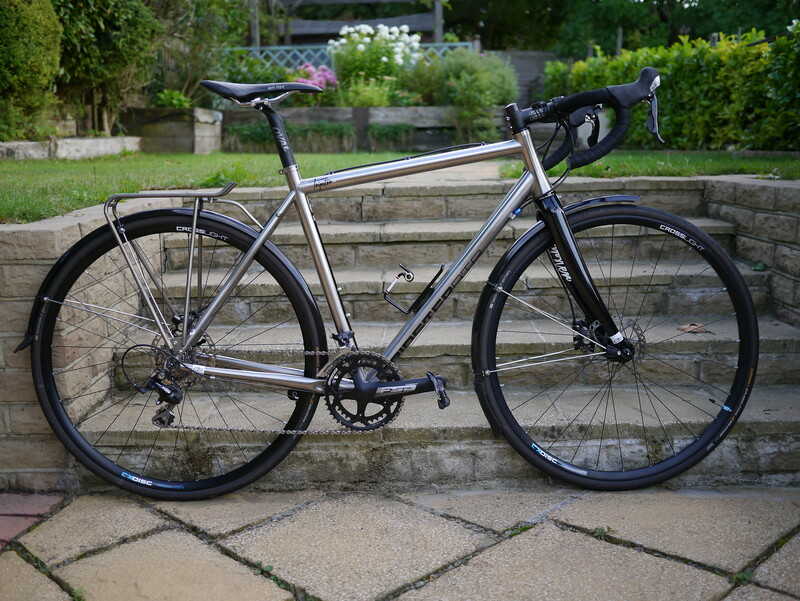 My new Kinesis Tripster ATR Titanium, I think its my perfect commuting bike. Really nice. Wish I had somewhere to look up a nice bike at work. I think Jon's quite jealous of this, even though he loves his Genesis. I love my Charge, but it weighs the same as a tank! 700 miles covered, gave it a polish. what happened to the old one?? That's got a lovely finish on it - looks really nice, the rack compliments it perfectly too. It would look even better with a set of Velo Orange mudguards on it, it's a shame they aren't as safe as the SKS you have on there. 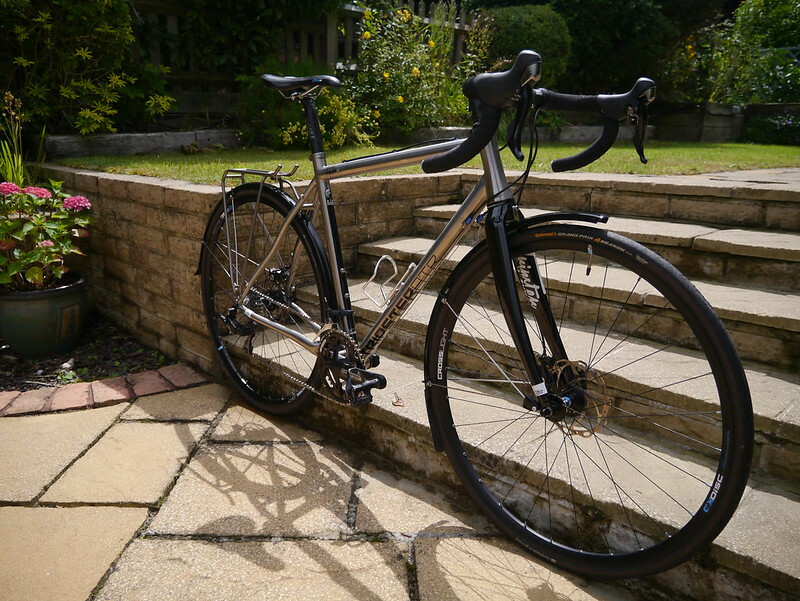 &quot;Neil&quot; Wrote: That's got a lovely finish on it - looks really nice, the rack compliments it perfectly too. 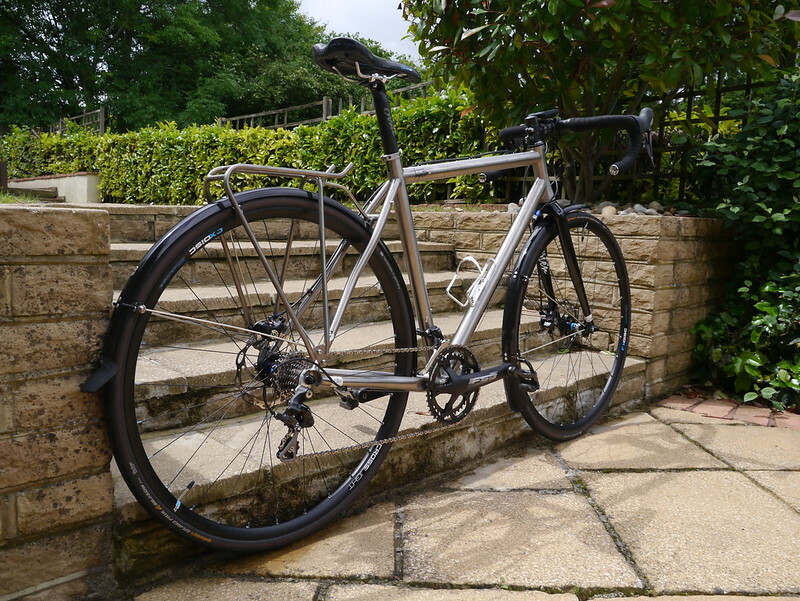 It would look even better with a set of Velo Orange mudguards on it, it's a shame they aren't as safe as the SKS you have on there. 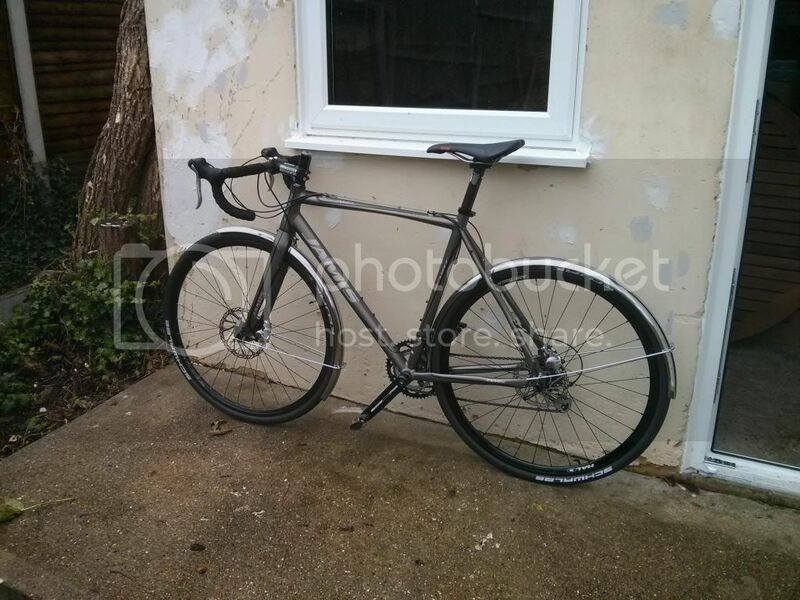 Orange mudguards?! Why would he want to wreck it by doing that? 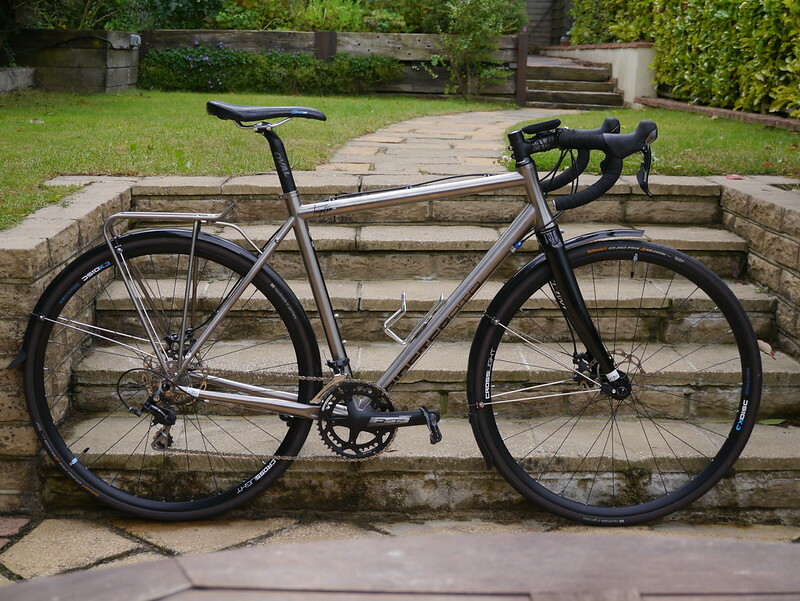 Looks good Russ, i love the finnish of titanium.